Shows run Dec 1 – 3. 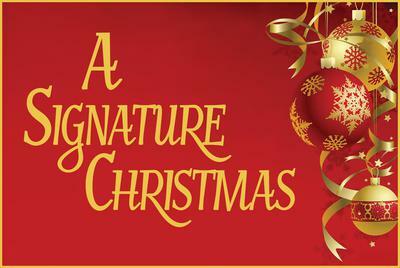 Experience a musical celebration full of joy and the spirit of the season featuring live music and some of your favorite Signature performers. Shows are at 7:30pm with a Saturday matinee at 2pm. Tickets are $25 for adults, $23 for seniors & students, $15 for children 6-12 and can be purchased online at SignatureProductions.net or by calling (702) 878-7529. Group rates are also available.